Mr. Schager starts the 2016-17 season as Florestan in Fidelio conducted by Daniel Barenboim at the Staatsoper Unter den Linden in Berlin and then goes on to sing Tristan in Tristan und Isolde with Teatro dell’Opera di Roma. Further engagements this season include his North American debut as Siegfried in Götterdämmerung with the Canadian Opera Company in Toronto and with Hessisches Staatstheater Wiesbaden and Semperoper Dresden, Siegfried in Siegfried in Leipzig and Wiesbaden, and the title role in Parsifal at the Bayreuther Festspiele. Future seasons will see him return to the Opéra National de Paris as Parsifal and debut at the Metropolitan Opera in New York. 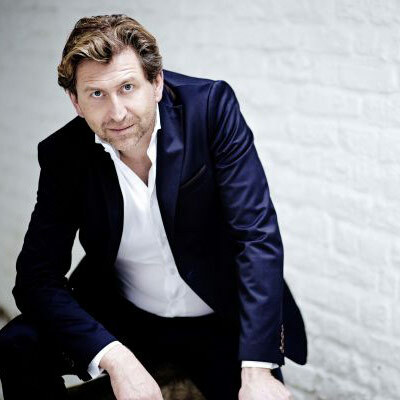 Mr. Schager started the 2015-16 season singing the title role in Wagner´s Tannhäuser at Vlaamse Opera. Audiences in Berlin had the opportunity to hear him a number of times at the Staatsoper Berlin as Max in Weber´s Der Freischütz, Erik in Wagner´s Der fliegende Holländer, the title role in Wagner´s Parsifal under Daniel Barenboim, and at the end of the season as Siegfried in Wagner´s Siegfried and Götterdämmerung, again under Daniel Barenboim. He sang Siegmund in Wagner´s Die Walküre in Baden Baden, at Theater Meiningen and at Oper Leipzig, where he also took the stage singing the title role in Wagner´s Rienzi. Andreas Schager appeared in two productions at the Mariinsky Theatre in St. Petersburg under Valery Gergiev, repeating Siegfried in Götterdämmerung and singing Tristan in Wagner´s Tristan und Isolde. He finished the season with his debut at the Bayreuth Festival as Erik in Der fliegende Holländer and Parsifal, and as soloist in Mahler’s Symphony No. 8 at the Lucerne Festival under Riccardo Chailly. In addition to his close collaboration with Daniel Barenboim and Valery Gergiev this season, Mr. Schager also appeared in concert twice with Marek Janowski and the Rundfunk-Sinfonieorchester Berlin, singing Beethoven´s Symphony No. 9 at the Konzerthaus Berlin and singing Siegfried at the Bunka Kaikan Hall in Tokyo. Another concert highlight was his performance of Schönberg’s Gurrelieder at L’Opéra Bastille in Paris under Philippe Jordan. In the 2014-15 season some of Mr. Schager´s highlights included his concert performances as Menelas in Strauss´ Die Ägyptische Helena at Oper Frankfurt under Stefan Soltesz and his role debut as Parsifal at the Staatsoper Berlin under the baton of Daniel Barenboim and in a new production by Dmitri Tcherniakov. He also had his US and New York debuts as Apollo in Richard Strauss´ Daphne with the Cleveland Orchestra under Franz Welser-Möst in Cleveland and in New York, a role he also sang in a staged production at Théâtre du Capitole in Toulouse. He was engaged as Tristan in Tristan und Isolde under the baton of Myung-Whun Chung and Tokyo Philharmonic Orchestra, as well as with the West Eastern Divan Orchestra under Daniel Barenboim in Sevilla. Highlights of the 2012-13 season included his performance of Siegfried in Götterdämmerung at the Staatsoper Berlin conducted by Daniel Barenboim, a production also presented at the BBC Proms in London and his debut at the Teatro alla Scala with the same piece. Mr. Schager came to international attention through celebrated performances of the title role in Rienzi with the Deutsche Oper Berlin, Teatro Real in Madrid, Rome Opera and with the Hamburg State Opera.